We're Available 24 Hours A Day, 365 Days A Year! Local engineers in YOUR AREA today! 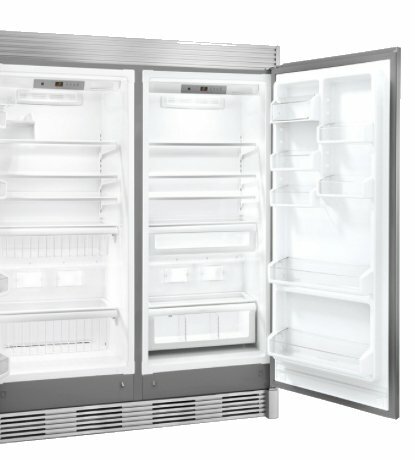 At Partpoint, we understand a faulty fridge can cause a lot of inconvenience to your family. You can rely on us for refrigeration (fridge) repairs, maintenance services and supplies at affordable prices for both domestic and commercial customers. We are based in Hove and serve throughout both East and West Sussex. Freezer defrosting, fridge to warm, maybe a service report for insurance or a new appliance supplied and installed, Whatever your requirements are we are here to help! Along with our Refrigeration repairs in Sussex, we can also provide refrigeration / fridge spare parts from our huge range of stock. With access to over 1 million spare parts, and next day delivery on the parts we do not carry in stock available, you should never have long to wait to get your cooker up and running. Why not speak to our parts experts who can help you in tracking down that all important part you require. Freezer compartment is not cold enough. The freezer is okay but the fresh food area of the refrigerator is warming up. The freezer AND fresh food areas are not as cold as they should be. There’s a lot of frost in the freezer or moisture in the fresh food area. I’m getting a large amount of frost in my ice dispenser shoot. There is a sheet of ice on the floor of my freezer compartment. I have water under my crispers or dripping into the refrigerator’s fresh food compartment. Water is leaking onto my floor. There is a noise in my freezer. There is a noise coming from behind my refrigerator. Need your washing machine repaired in Sussex? Need your dishwasher repairing in Sussex?